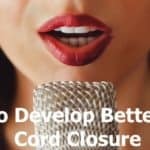 Whether you use your vocal chords to earn a living or not, they are very important, so you should do vocal chords strengthening exercises, in order to keep them in top condition. Do you know what types of exercises you can use to strengthen your vocal chords? In order to improve your voice, whether for singing or speaking, you should perform stretching exercises regularly. These types of exercises can do something to improve the strength of your vocal vibration when you sing or speak. If you can stretch out your vocal chords better, you’ll make them tighter when you perform these exercises. By doing this, you can have a more powerful sound in your voice. Good singing can be attained through constant practice in due time. This means that you have to undergo a thorough training in strengthening your vocal cords, also called vocal folds by doctors. 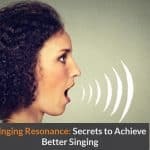 The strengthening process for your vocal folds requires repetition of exercises for sometimes; so, you have to repeat the steps daily in order to get positive results for your singing voice. First you need to understand what size vocal chords you have. 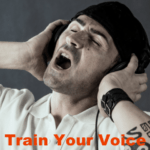 If you have thick vocal chords, you will have a lower, richer sounding voice. If, on the other hand, you have thinner vocal chords, your voice will sound higher. How easily your vocal chords vibrate, in conjunction with what sort of vocal chords you have to begin with, creates your singing voice. You cannot change the size of your vocal chords. Once you understand that, you can concentrate on improving your voice through these vocal chord exercises. Your vocal chords are similar to an instrument. If you can learn to play an instrument, then you make your vocal chords work the same way. It is just like playing the guitar, a piano or a violin. In the instrument, you control the strings with your fingers or the bow in the case of the violin and in just the same way you control your voice with proper breathing and proper enunciation. Let’s take a look at how our whole vocal system (vocal chords, tongue, lips and soft palate) works together to produce sound while we sing. So, what sorts of exercises should you do exactly? Well, the key is to do stretching exercises, which will help you to improve the vibration when you sing or speak and make the vibration stronger. That means that you can tighten your vocal chords, by using practicing exercises, and give yourself a much more powerful voice. 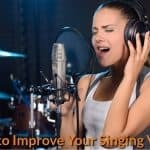 While you may think that practicing singing is the main way to improve your singing skill and voice, , but many experts disagree. You really should stretch to use less air while you are singing. You need to learn to only use the exact amount of air that you need for each note. If you can control that, you can develop a much more controlled singing voice. According to some research, should include tongue related exercises too. A scientist in France believes that the hypo-glossus muscle, a muscle in the tongue, plays a large part in the strength of your vocal chords and voice. In order to exercise your tongue muscles, you need to start by totally relaxing your tongue. Just let it lay flat in your mouth. Then the two sides of your tongue need to be curled inward, so that there is an open slot down the middle of your tongue. That muscle movement is the one that is believed to influence the strength of the vocal chords. Try to practice breathing exercises from your diagram for strengthening of your larynx and improving your singing voice. Sitting and standing straight are basic positions that you have to practice for this type of exercise. Put your hands on your stomach in order to feel the movement, then breathe in deeply as you can through the nose. Take 5 seconds before you breathe out slowly while your hands are moving on your stomach. Control your inhaling and exhaling process in order to maintain a smooth and better vocal style. As per advice from the Ohio State University Medical Center, breathing exercises with the use of your abdominal muscles should be performed in order to control your breath. You can improve your awareness in your breathing habits when you sit straight in the chair, place a hand over your abdomen and inhale. At this point, your stomach will extend outward. After doing that, start exhaling, and you’ll feel that your stomach is retracting inward. Do not breathe from your lungs. Breathe deeply from your diaphragm. The long breaths which you take from your diaphragm (as if from your stomach) enable you to hold your notes for a long time and complete your song without unwanted breaks. Five to ten minutes of deep breathing exercises everyday will go a long way to get better control of your voice. It is also important to learn when to exhale. When you practice your singing, understand where the pauses are to exhale slowly without affecting your song effectively. All famous singers have succeeded only through breath control and voice control. To help you with this, look down when you breathe. If it your stomach which is going in and out when you breathe, then you are breathing correctly. If your shoulder or upper chest alone is moving, then your breathing is incorrect. Remember that this deep breathing alone will help you to hold the end notes till the BGM (background music) starts. Note: Of course the most essential requisite for a good singer is breath control. Imagine how it would be when you are singing a fantastic song and halfway through find yourself breathless and unable to hold the note. So, regular breathing exercise is a must to sing better. While practicing breathing, hold notes for as long as possible so that it slowly becomes a habit. Secondly, understand the song and learn where you can take breaths and where you can exhale without missing a note. The use of your soft palate can significantly improve and enhance your singing. You might ask what a soft palate is. 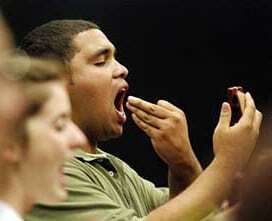 Open your mouth and look into the mirror, you will see a small piece of flesh hanging down at the back of your throat. With a little effort, you can see it move also. That is the soft palate. Raise & Open up the Soft Palate: The soft palate is the small piece of flesh hanging at the back of your mouth. Opening this wide helps in free air flow, and your voice will vibrate more. Your breathing becomes better, your voice richer, you get more “vibrato” in your song, and the vocal chords are not strained heavily. If you practice hard enough, you can learn to use the soft palate to your advantage. When you open up this part of your throat, it results in free and increased air flow improving your voice quality and depth. An added benefit is that you start getting more “vibrato” in your singing, giving your song more feel and dynamics.